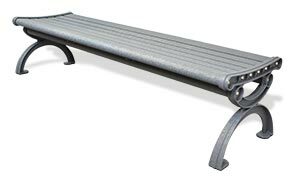 Deliver a fresh, cosmopolitan flair to seating areas with the installation of these unique aluminum backless benches. Utilizing distinctive design elements to inspire visual appeal, the exclusive contempo-crinkle powder-coated finish creates a remarkable aesthetic. 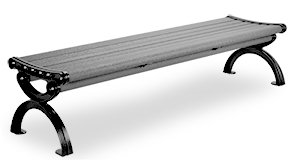 Constructed from lightweight, non-corrosive materials and finished with a one-of-a-kind durable powder-coating, these 6' imported backless benches offer superior performance and style, great for a wide variety of indoor or outdoor environments.